Why not pile on another stone or two; feel free to mix and/or match. 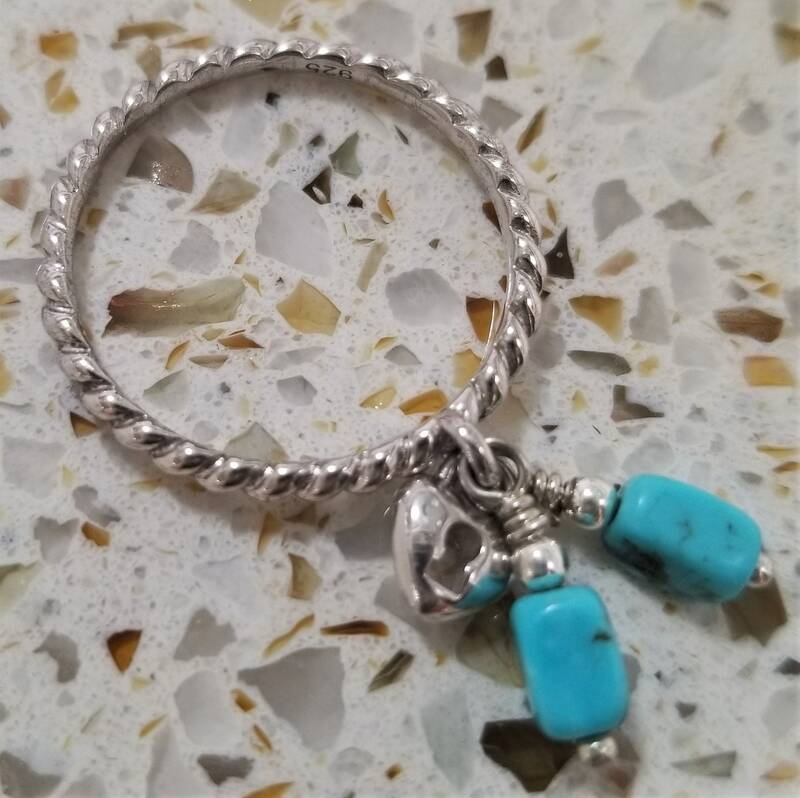 The ring comes with the sterling charm and you can customize it for yourself by picking what two semi-precious stones you'd like on it. 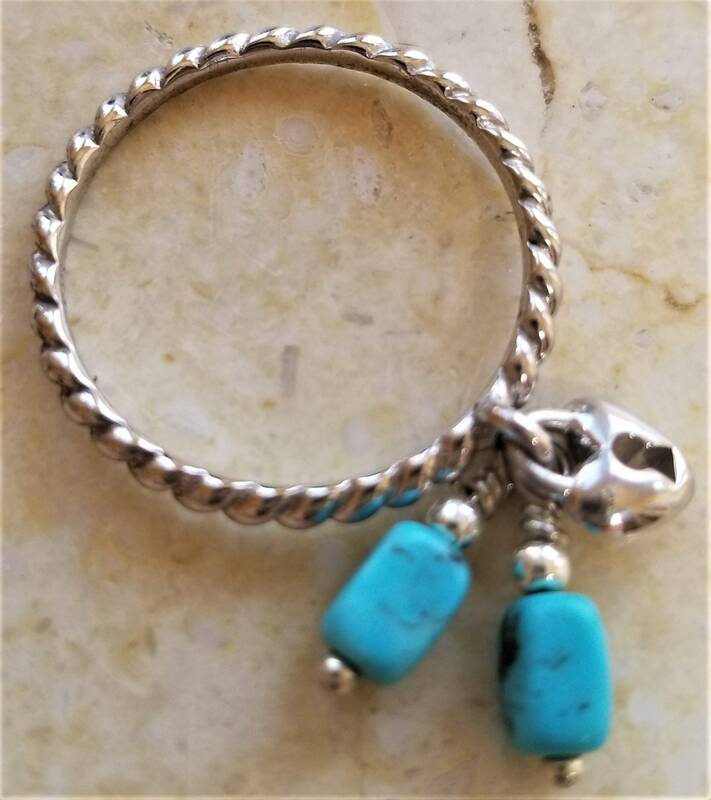 The ring shown here is with Kingman turquoise from the Kingman mine in Kingman, AZ. 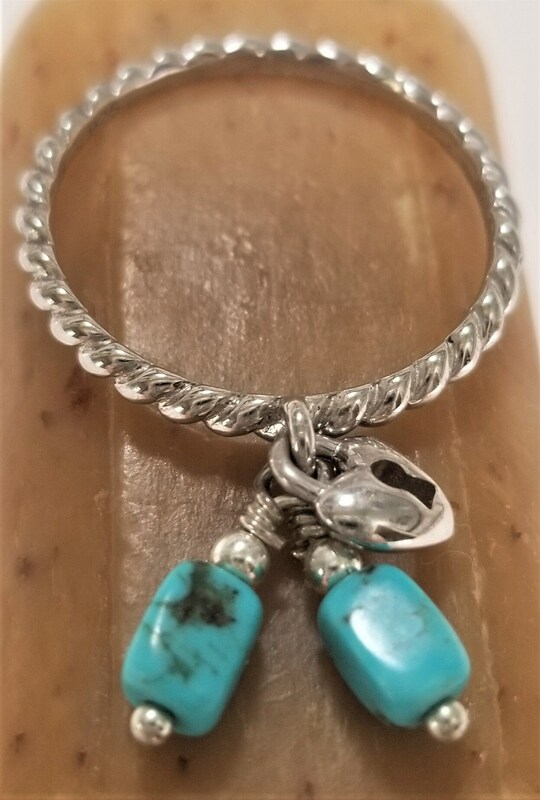 If you prefer another turquoise, please specify in the comments section when checking out. Also,there's a list of other semi-precious stones to choose from. These are stackable rings and you can amass quite a bouquet on top of your finger. Have fun! !